I guess it depends on your subjective assessment. I wouldn't go by those silly ratings. You're missing nothing (except a Nikon). My only problem with Nikon is they still haven't integrated Pixel Mapping with their DSLR bodies. I got one recently with 3 bad pixels visible on every pic the cam produces. Those pixels are in the same state no matter which pic I take. It's incredibly annoying. I have to shoot raw and let software map them out, something which I never bothered with in the past. I find this primitive to have to live with in 2013 and I wouldn't dare let any service center touch it for fear of making things worse (and being without my camera). I have the D5100. So I think Nikon is waaayyy behind the times on this. 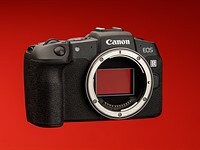 The D5200 is probably the same. The one big disadvantage is body size/lens size with a DSLR. If you can live with that, I wouldn't change from Nikon. The output should please you. What makes me use mirrorless (in my case, a Panasonic)? The size and less clunky Live View. Though all the mirrorless cameras I've tried have worse battery life than a DSLR (and are far worse to view low-light scenes with their electronic viewfinders). But a DSLR has a size disadvantage and clunky Live View implementation, and those that are better in this area (Sony Alpha models) have to rely on electronic viewfinders...which can be pretty poor. Otherwise, get a traditional DSLR like the Nikon. CSC`s are hybrid machines designed for multimedia applicators, DSLR`s are designed for stills, plain and simple. DSLR`s are good at stills and they can shoot video, but the video is poorly implemented. i would say a Dslr is a truer hybrid, OVF and live view, stills and video, PDAF and CDAF.....much more than in a mirrorless camera. No its an over sized SLR fitted with a sensor and a load of electronics. why is it oversized? how do you quantify that statement, and with what set of specifications to measure against? I was actually showing a Dslr has more features than a mirrorless camera in certain regards. Buy growing up using SLR`s and various film camera`s, the last full frame DSLR I picked up was two or three times the Size and weight of my OLD OM1 fitted with a fifty.